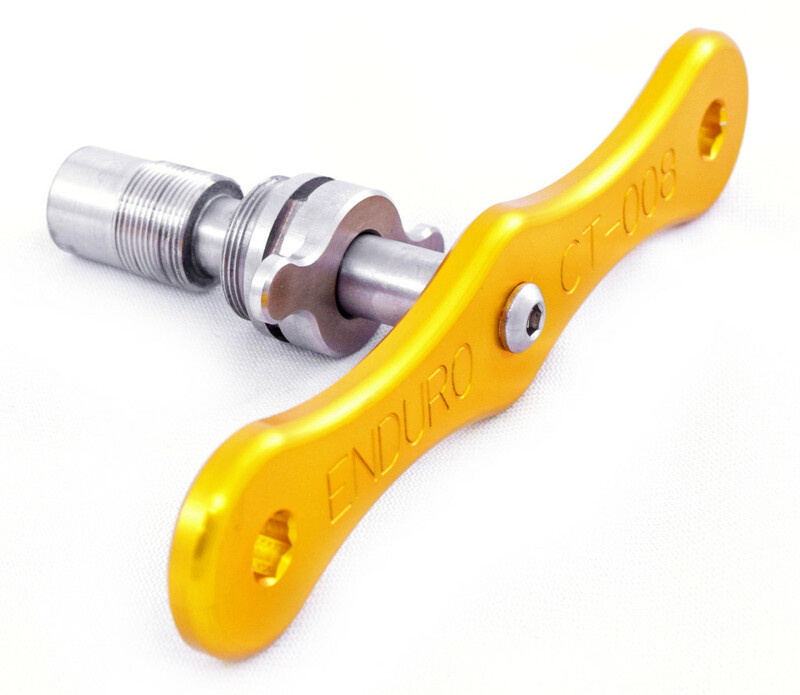 Tool for securing the crank fixing bolt on Shimano cranksets. 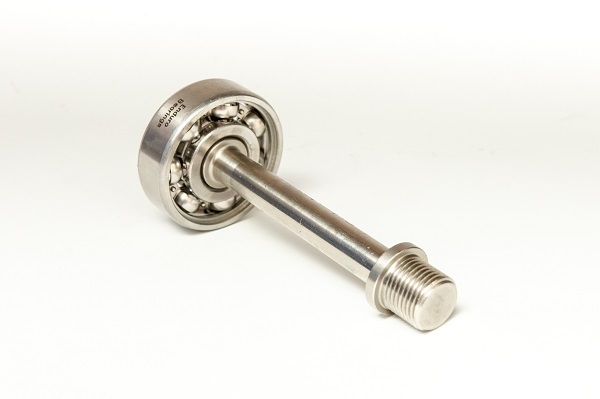 Designed with a 3/8" drive on the back for torque wrench attachment. 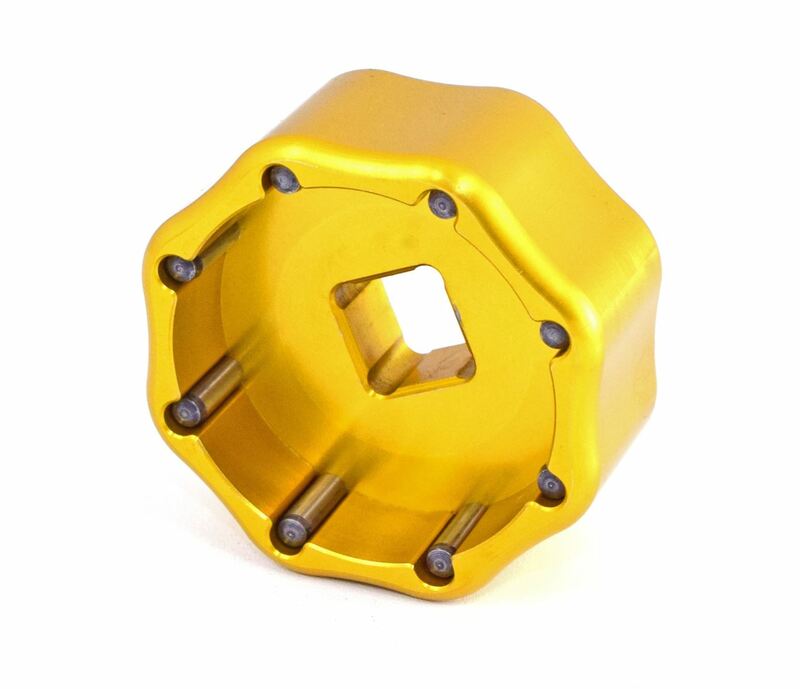 Available separately is the low friction replacement seal for these hubs. 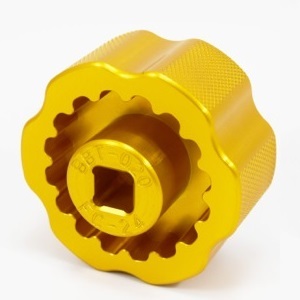 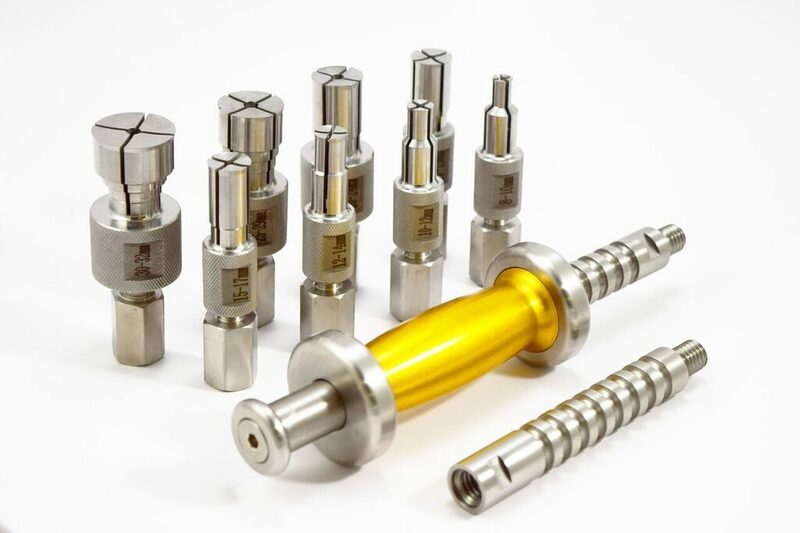 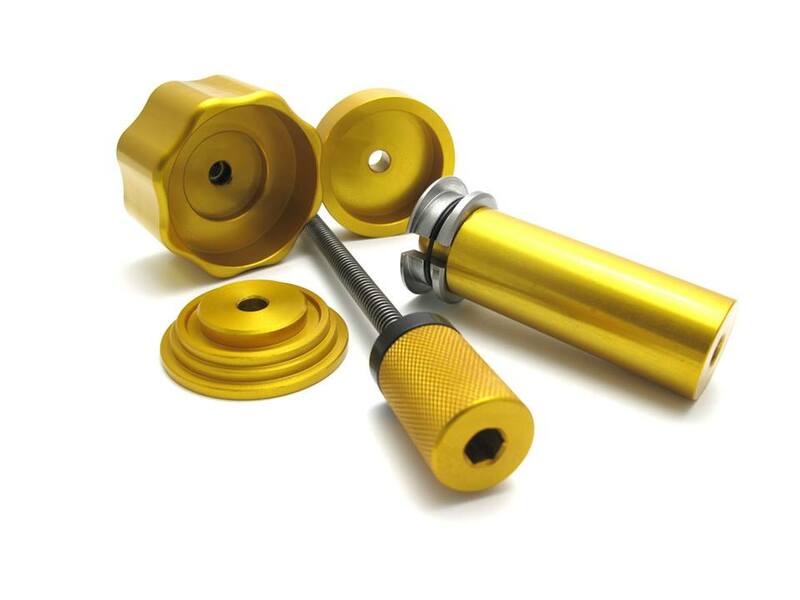 This tool set allows you to pull bearings that are pressed into a housing as found in all hubs and pivots. 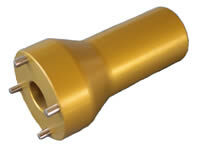 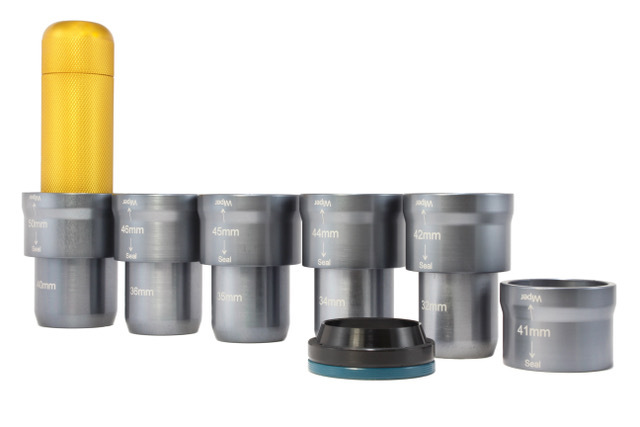 The slide hammer threads in 2 pieces for smaller bearing applications. 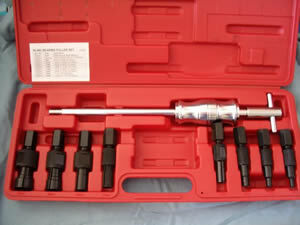 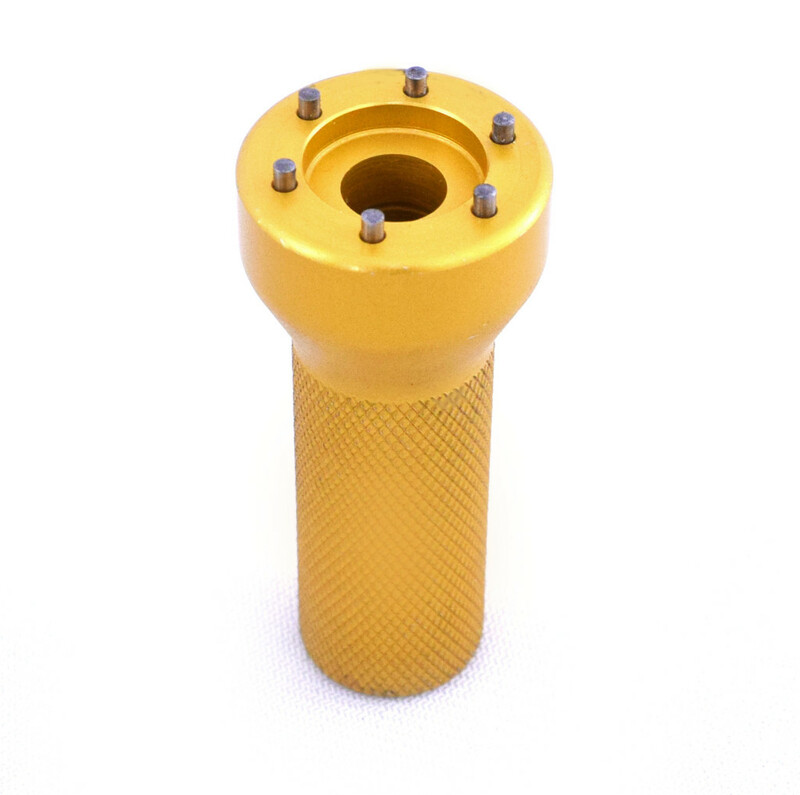 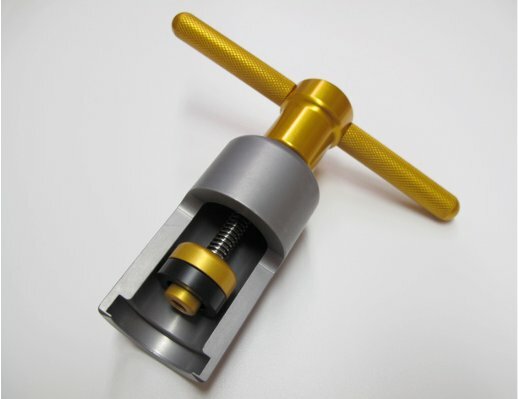 This tool includes high-quality Stainless collets designed to remove bearings with an inside diameter between 8mm-32mm. 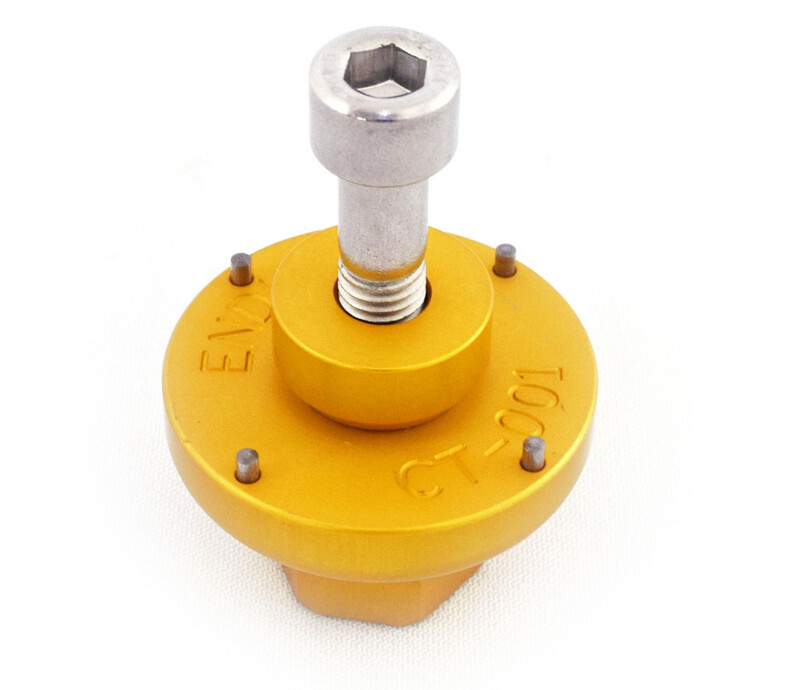 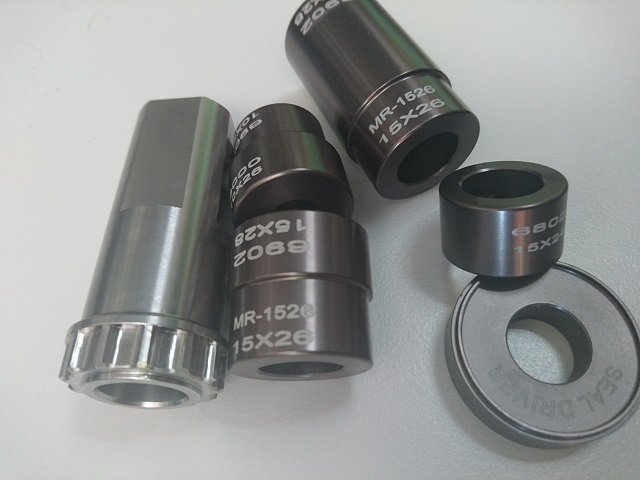 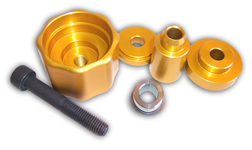 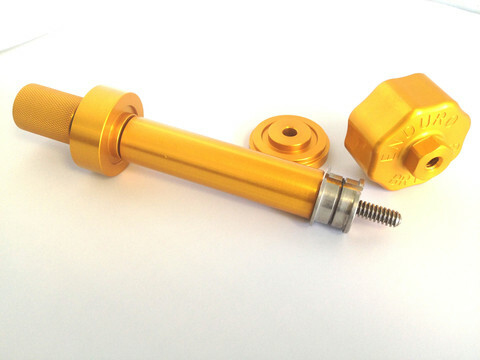 Bearing press (rod and handles) for use on hubs requiring over axle bearing installation. 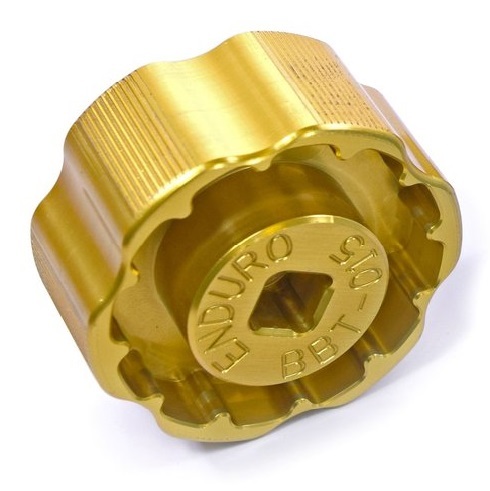 Bearing pilots for the install of Campagnolo Ultra Torque bb crank bearings. 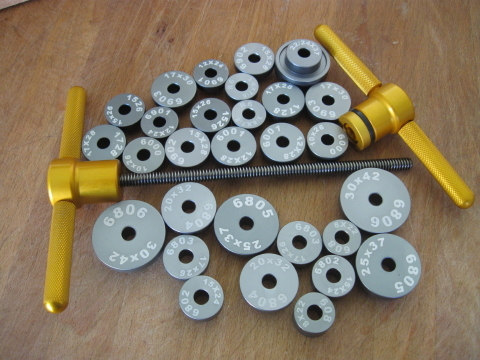 Used with BRT-005 Hub Press. 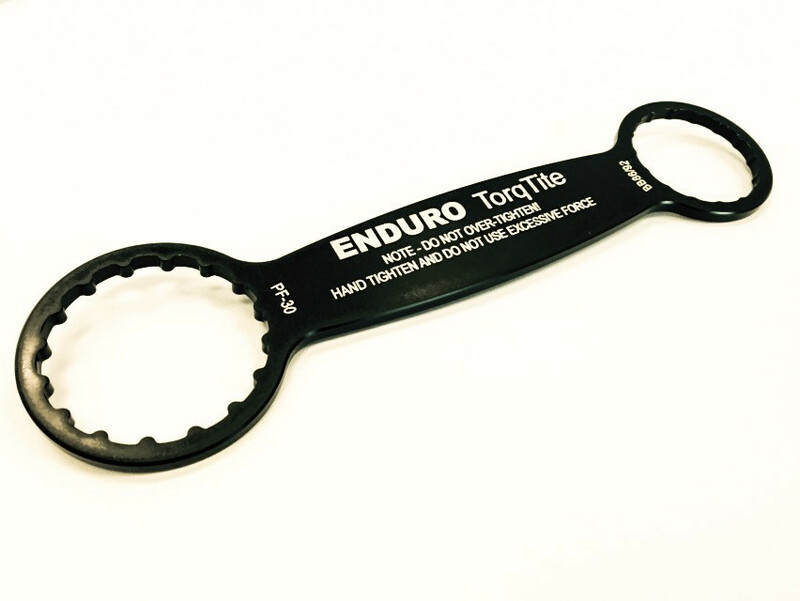 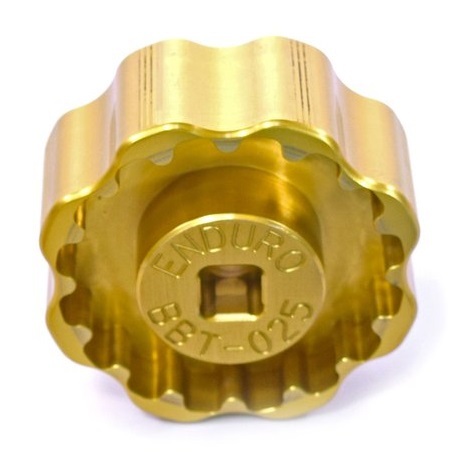 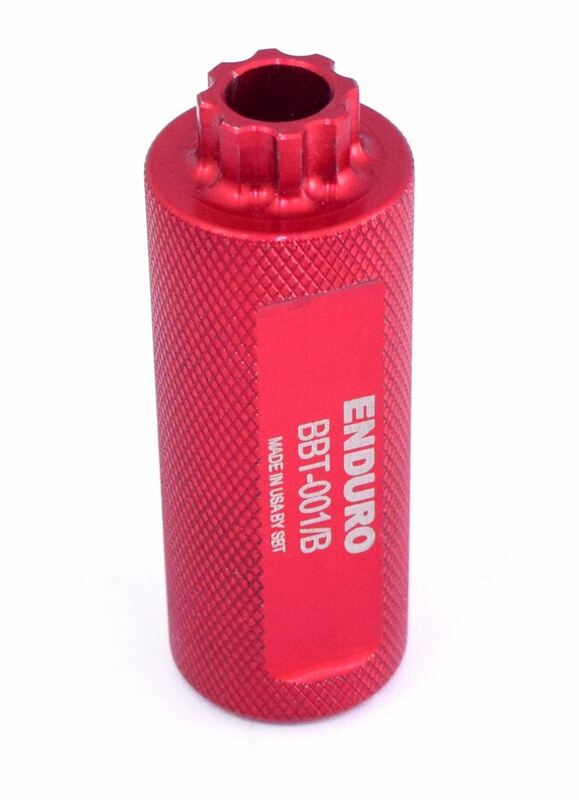 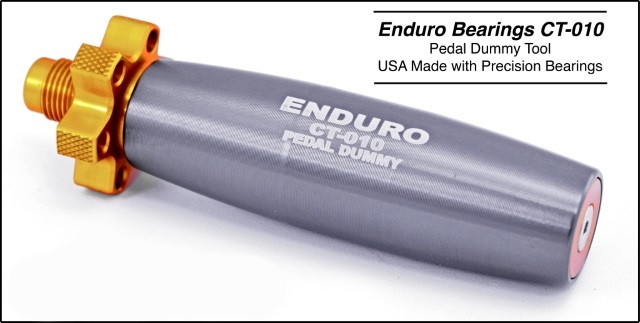 Removal/Install tool guides for BRT-005 and BRT-045 for Enduro needle rollers for 1/2 shock eye.